The Geocortex Mobile App Framework for iOS must be deployed according to Apple's distribution guidelines. Highly customizable apps like the Geocortex Mobile App Framework are deployed following Apple's Enterprise distribution guidelines (not the iTunes Store). The Enterprise model ensures that only trusted applications are loaded onto Apple devices. Under the Enterprise model, you create an Apple Enterprise Developer account, which contains information that Geocortex Support will build into a customized installation package for you. When you receive the package from Latitude Geographics, you deploy it to a web server and share the location with end users. This allows them to download and install the App on their Apple devices. 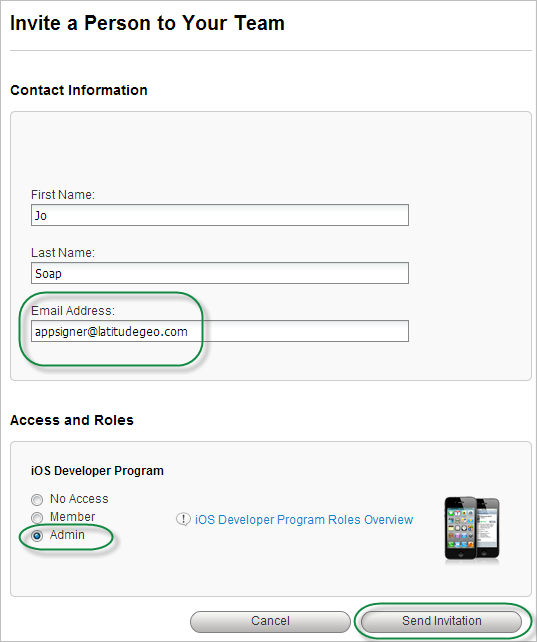 Create an Apple Enterprise Developer Account. The Enterprise Developer account limits distribution internally to your organization. Obtain the installation package from Geocortex Support. Geocortex Support creates a signed installation package for your organization. To create an Apple Enterprise Developer (AED) account, go to the Apple Developer Enterprise Program web page, click Enroll, and follow the instructions. Admin Users: Users with Admin rights can create or delete other users, create certificates, application identifiers, provisioning profiles, and add devices. Developer Users: Users with Developer rights can download their own development certificates and provisioning profiles. 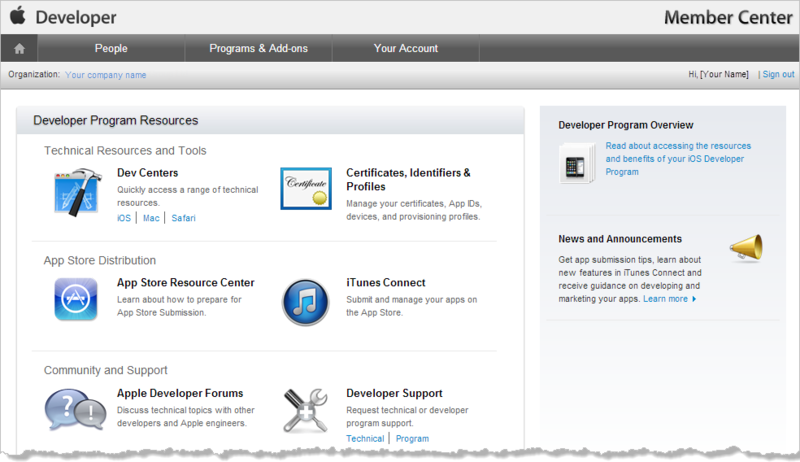 After you have created your Apple Enterprise Developer account, must provide us with some information from it. Submit Files: (preferred method) When you request your installation package, send Geocortex Support your .p12 and .mobileprovision files from your Apple Enterprise Developer account. The Support representative will extract the required information from the files. The .p12 file is a Public-Key Cryptography Standards (PKCS) file that contains your signing certificate. Provide Account Access: Provide Latitude Geographics with access to your Apple Enterprise Development (AED) account as an Admin user. Geocortex Support will use the Admin user to get the information needed to create your installation package. Follow the instructions below to set up a Latitude Geographics Admin user. Sign in to the Apple Developer Center as an Admin user for your organization. On the banner, select People. From the side panel, select Invitations. In the Invite People to your Team area, click Invite Person. First Name: The first name of your Latitude Geographics representative. You will receive the name of your representative by email. If you do not know their name, please contact your account manager. Last Name: The last name of the representative. In the Access and Roles area, select Admin, and then click Send Invitation. You may want to provide the license's Client ID to Geocortex Support when you request your customized installation package. Geocortex Support will preconfigure the license in the installation package. You must provide the license code to Geocortex Support when you request your customized installation package. Geocortex Support will preconfigure the license in the installation package. 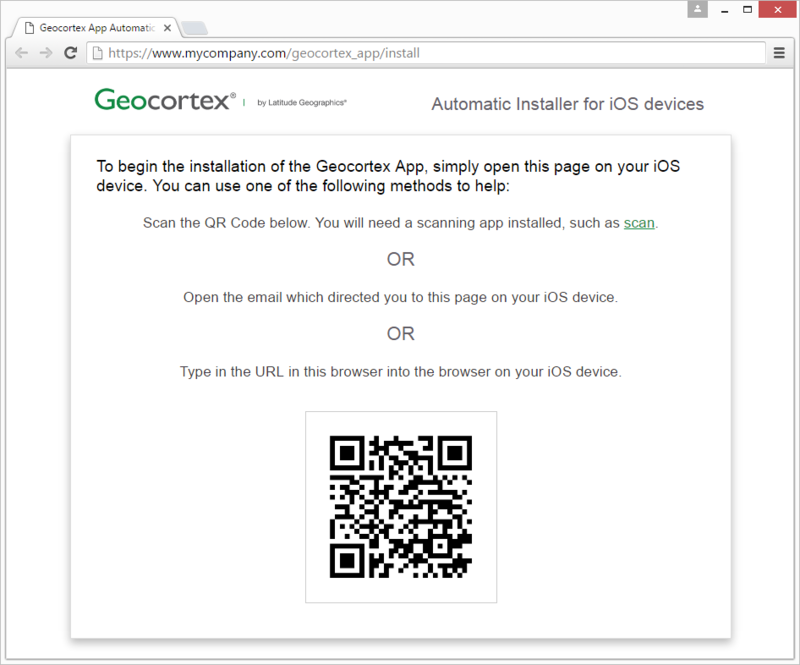 The Geocortex Mobile App Framework for iOS requires a customized package. Customized packages are available from Geocortex Support. Simultaneous Installations: How many customized versions of the App you want to have simultaneously installed. Although you can install multiple customized versions, you can only run one App at a time. Apple Files: If you chose not to set up an Admin user for Latitude Geographics in your Apple Enterprise Developer account, send Geocortex Support your PKCS (Public-Key Cryptography Standards) #12 (.p12) file that contains your signing certificate, and your Mobile Provision (.mobileprovision) file. You can get these files from the Apple iOS Developer website. This is the location where end users will go to download the App.